In Our 25th Year, it’s Exciting Times at Telephone Magic! Wow! It is hard to believe but we are in our 25th year in business at Telephone Magic Inc. One might think it would be time to sit back and enjoy the fruit of our success, but I have not been this busy in about nine or ten years. But it is FUN. So many exciting things are happening in and around our company. We are now well into a website redesign that will bring us up to Web 2.0 standards. The new site will sport a beautiful graphic design, easy to navigate menus, online chat with “live” quotes, and an “Express Quote!” option available from any page of our site. We carry more products today than ever before and more product lines are being added every day. If you don’t see it, we probably have it. If we do not have it, we will get it for you fast. 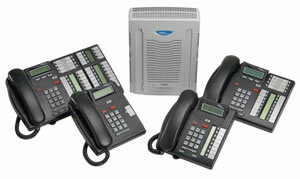 From systems, phones, and equipment for Avaya IP Office IP500, to the Avaya BCM and Definity PBX. From Nortel Norstar and BCM 50 and 450, to Meridian 1 / Option 11C PBX. From NEC’s SV8100 phone system to Mitel, Cisco IP, Polycom, Plantronics, Teledex, Scitec, TeleMatrix, EnGenius and more. We carry it all! The thing we are most proud of is the fact that we actually establish RELATIONSHIPS on the web. That is something that is considered very rare with this saturated world we live in online. At telephone Magic we are also doing our darned best to build real interaction in the Social Media world. We have lots of exciting things planned for YOU if you FOLLOW US on Facebook, Twitter, Google+, LinkedIn, and most recently Pinterest. Be sure to use the handy links on the right side of our Blog page, Follow Us, and stay tuned for some cool and fun activities, contests, and product and site news. At this time, we would like to thank YOU, and all of our clients, both present and past, for helping us build towards our 25th Anniversary early in 2014! This entry was posted in Avaya BCM, Avaya Definity, Avaya IP Office, Avaya phone system, Avaya phones, BCM 450, cisco ip phones, IP500, Meridian, mitel, NEC SV8100, Norstar phone system, Nortel BCM 50, Nortel Norstar, plantronics, polycom on May 28, 2013 by jjackson.